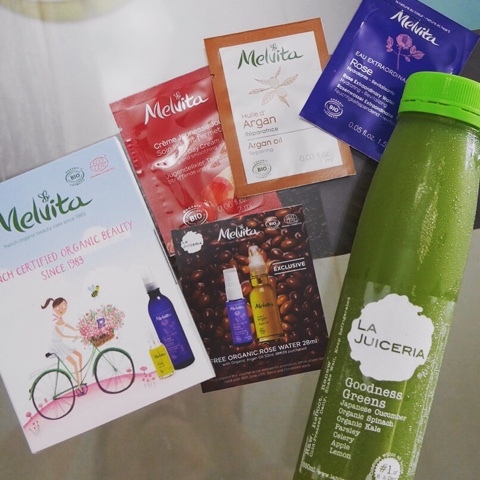 For the month of June 2015, La Juiceria teamed up with Melvita Skin Care to work together in recycling old La Juiceria bottles. It's as simple as bringing old La Juiceria bottles to any of Melvita stores in the Klang Valley -- and get free Melvita Skin Care samples! It's inside a cute little box with 3 samples inside.